The Benefits of Flexible Circuits | Northpoint Technologies Inc. Flexible circuits got their start around World War II as a replacement for wire harnesses. Basically, flexible circuits are an array of conductors bonded to a thin dielectric film. They’re used in all sorts of industries, including for automotive, medical, telecom and commercial purposes. What are some of the benefits of flexible circuitry? When circuits are flexible, they can simplify system design, reducing the number of levels of interconnection required in an electronic package. Flexibility allows for unique designs which help solve interconnection problems, reducing overall package size and making installation/repair more practical and cost effective in the long run. Design options are endless as flex circuits are not limited to two dimensions. Before the assembly of components, flexible circuitry can be tested. During installation and/or execution, they can be manipulated several times without electronic failure. Furthermore, they’re thin and less heavy than other options. For instance, thickness can be as thin as .004 inches. Compared to wire harnesses, flexible circuits weigh a lot less. They solve space and weight problems that rigid boards cannot solve. 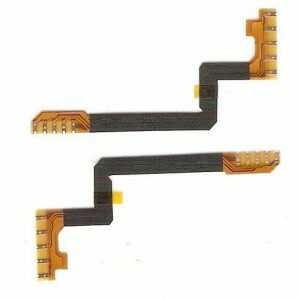 Using flexible circuitry eliminates the need for connectors and solder joints, therefore reducing costs. They don’t need to be routed, wrapped and soldered, therefore saving money. Also, flexible circuits are able to dissipate heat at a better rate compared to other dielectric materials thanks to the larger surface-to-volume ratio and compact design. Aesthetically, they improve the look of the internal appearance of an electronic package. Flex circuits are so flexible that they can be utilized in highly complex/high density configurations, handling complex interconnections with single/double combinations. They’re also known to withstand hostile operating environments. Thanks to their streamlined design, there’s more room for the flow of cooling air through an electronic application. Reliable and durable, flexible circuits are thin, streamlined, and weigh less than the competition. Therefore, they’re a great choice for many industries. Northpoint Technologies supplies companies and organizations with high quality flex circuit solutions at competitive prices. If you need custom flexible printed circuits and/or flexible interconnects, Northpoint Technologies is a world-class supplier of them. Our company was originally called Flexible Circuits, for the record. We’ve continued to focus on flex circuits while expanding our business to include things such as touch screens, silicone switches and more. ← What Are Circuit Boards Used For?